Walmart Heats Up War With Amazon: How Are Others Placed? Walmart Inc.’s (WMT – Free Report) latest contract with Postmates is likely to intensify the online grocery delivery competition among retailers — which was largely triggered by Amazon’s (AMZN – Free Report) takeover of Whole Foods Market last year. Ever since the e-commerce biggie’s intrusion into the grocery space, retailers, particularly Walmart, have been making constant attempts to stay firm in the game. From speedy deliveries to payment systems, from selling grocery to offering meal-kits online, both Walmart and Amazon have been in a constant contest against each other for quite some time now. Well, Walmart improved its flair in the race yesterday, when it inked a deal with Postmates to extend its online grocery delivery service, with an intent to cover more than 40% of the families in the United States. Walmart initiated the aforementioned online grocery delivery service in Charlotte, NC, and now intends to expand it further in the coming months. This service will enable Walmart to provide same day delivery to customers, who can place orders on the grocery section of the company’s website or use the Walmart Grocery app. Thereafter, any Postmates member will procure the order and carry out the delivery process seamlessly. With an order fee of about $9.95 on a minimum order of $30, this service appears to be much viable than others like Shipt which mandates a membership program. Without a doubt, the service will enhance customers’ experience, as they can now order products including fresh produce, bakery items, meat, seafood and pantry staples among others more conveniently. However, the move is not completely unexpected. Last month itself, this big box retailer announced plans to expand online grocery delivery services to more than 100 metros in the United Sates, in a drive to reach nearly 40% of the nation’s household this year. While Walmart has been resorting to partnerships and buyouts to offer grocery deliveries, the company has its own Online Grocery Pickup service which is also popular as “Grocery Hero” among customers. 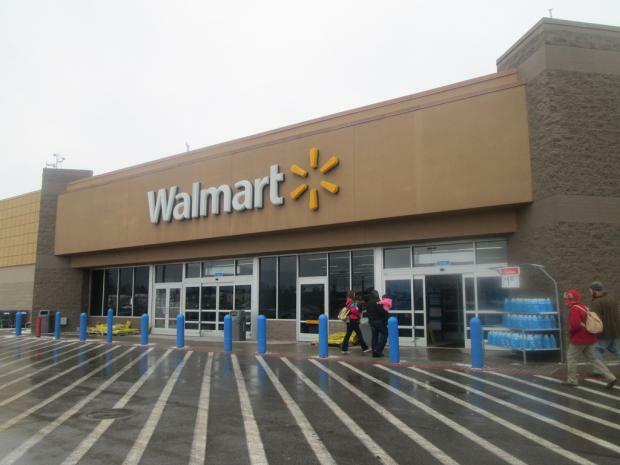 Walmart’s Pickup service enables customers to order online and pick up orders from stores – a service that can be currently availed across 1,200 Walmart stores with plans of spreading to 1,000 more stores this year. Are Grocery Chains About To Join The Retail-Bankruptcy Bloodbath? Amazon Vs. Walmart: Who Will Win This Holiday Season? Which Food Stocks Should You Buy Amid Grocery Industry Woes?